To end the obesity epidemic in America. In 2014, Carl Grande and Justin Marrone decided to take their life-long passion of health and fitness public with their very own fitness and nutrition coaching program. This program was to be different than anything else out there. Their vision was to fuse the best group training program together with the science and fundamentals of sports nutrition coaching (Empyrea is proudly certified by Precision Nutrition – the world’s leading nutrition coaching company, founded by John Berardi, PhD, CSCS) to create something that has never been done before…until now. 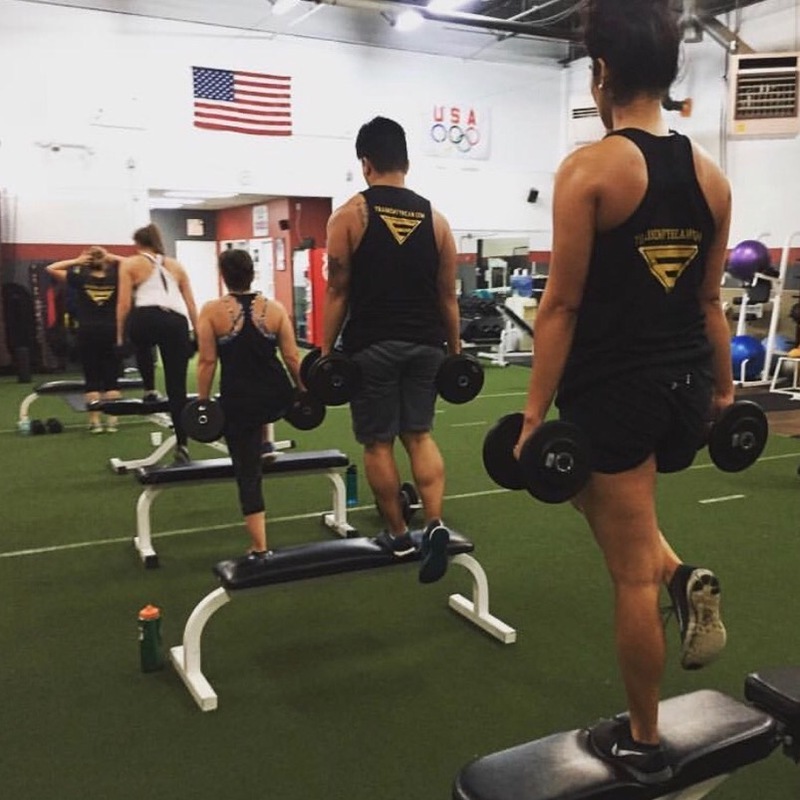 Most facilities/gyms offer group training classes and only some nutritionists (that might cost you big bucks) specialize in what it takes to aesthetically change your body or support the demands of a high-intensity training program. But no one has ever combined the two concepts into one seamless fitness program that is not only affordable, but effective. This is why Empyrea was born. Empyrea is not some “cookie-cutter” program. Empyrea goes “against the grain”, combining bodybuilding, strength training, high-intensity interval training cardio (HIIT) and other effective modalities (machines, bands, cables, medicine balls, etc. – just to name a few!) into a fun, positive and educational group training setting (classes range from 4-8 members at once), utilizing anything and everything to help get the job done. Each one-hour workout will leave you feeling fulfilled and confident, ready to conquer anything the day throws at you. Never expect the same workout twice here at Empyrea. "We help the average, working American achieve visible and sustainable results through our expert fitness training and superior nutrition coaching in a fun, positive and supportive group environment." The Empyrea Nutrition Coaching Program (which is conducted through one-hour private coaching sessions with Justin and Carl) is built on behavior modification, goal setting and relationship building. Much like visiting with a therapist/counselor, Empyrea will get to the bottom of any and all mindsets, enabling virtually anyone with a commitment and desire to change their life, the ability to do so at their own pace. Empyreans performing alternating step-ups in an evening group session. Empyrea utilizes the latest in technology, understanding the importance of convenience and innovation, which is why they created the Empyrea Nutrition Notebook. Updated monthly, this is a downloadable “blueprint” containing your monthly coaching session notes, helpful worksheets, visual aids, and customized meal plan that you can store right on your mobile device. This one-of-a-kind feature is provided for every client at Empyrea! Other areas of importance Empyrea focuses on include perfect form correction, full-body assessments (we use a special body fat & muscle mass scale, take circumference measurements on seven body parts, and take pictures), and building a sense of community! Empyrea had to have it all and it had to be done to perfection, which is something Carl and Justin pride themselves on every single day. Empyrea Nutrition Notebook: (Left) cover and first page close-up. (Right) page view index saved to iBooks on iPhone. Some tools we use to ensure measurable, REAL fitness results! - Stay motivated with visible results! - Feel accountable to accomplish your goal once and for all! - Save time and money knowing your efforts are paying off! Over the course of two years, Justin and Carl have helped countless “Empyreans” see visible and maintainable results, and have the testimonials and reviews to prove it. There has also not been one single recorded injury to date, training men, women and children from ages 11-75. With all this being said, Empyrea is fighting to become the new standard in “lifestyle transformation” within the health and fitness industry. Welcome to The Modern Fitness School. Welcome to Empyrea Group Training. There is no pressure here; only encouragement. Empyrea truly is a “one-stop-shop” and the only one of its kind. Give Empyrea a shot by clicking below for your COMPLIMENTARY week of training and nutrition consultation (you will be re-directed to our home page - link is at the bottom).